English↔Spanish Translator specializing in education, genealogy, children's literature, vital records, International Development, Human Resources, transcripts, Immigration, and Adult Non-Fiction. Fast, Accurate, Faithful to the Source Text. English to Spanish Children's Literature: ¡Pumpus tiene una brillante idea! Poetry & Literature, Education / Pedagogy No comment. Poetry & Literature, Religion No comment. English to Spanish Children's Literature: ¡Pumpus tiene una idea fluida! Titan Bank offers a variety of personal checking accounts that are designed to meet the needs of our customers. Consult your banker and discuss which of our accounts will best meet your lifestyle. See the back of this brochure for additional information about services designed to make banking with us even more convenient. Feel the power with a Titan checking account! Check your account from the comfort of your home on your personal computer or anywhere you have Internet access. You can verify the day’s activities, print current statements, transfer funds within Titan Bank, order savings bonds, re-order checks, and make Titan Bank loan payments. Sign up for e-BillPay today to consolidate all your payments and e-Bills into one easy system where you have visibility and control! Combine all of your Titan Bank accounts into one easy-to-read statement. Available upon request at no extra charge. Titan Bank ofrece una variedad de cuentas corrientes personales que están diseñadas para satisfacer las necesidades de nuestros clientes. Consulte a su banquero para discutir cuál de nuestras cuentas corrientes será la mejor para usted, de acuerdo con su estilo de vida. Véase al dorso de este folleto para mayor información acerca de los servicios diseñados para que sea aún más conveniente el realizar operaciones bancarias con nosotros. ¡Sienta el poder con una cuenta corriente Titan! Revise su cuenta desde la comodidad del hogar usando su computadora personal o en cualquier lugar donde tenga acceso a Internet. Puede comprobar las transacciones realizadas durante el día, imprimir extractos actuales de cuentas corrientes, transferir fondos dentro de Titan Bank, encargar bonos de ahorros, volver a pedir cheques, y efectuar pagos de préstamos de Titan Bank. ¡Inscríbase hoy para e-BillPay para consolidar todos sus pagos y facturas por Internet en un sistema fácil donde tiene visibilidad y control! Combine todas sus cuentas corrientes de Titan Bank en un extracto de cuenta corriente de fácil lectura. Disponible a petición del interesado sin ningún cargo extra. Experience Years of translation experience: 8. Registered at ProZ.com: Jun 2011. Became a member: Jan 2012. 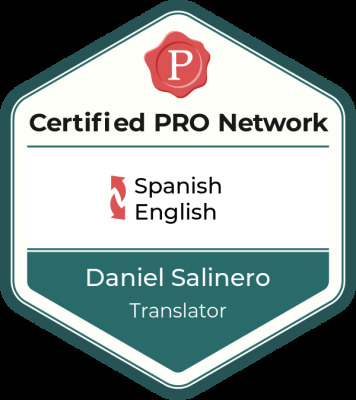 Professional practices Daniel Salinero endorses ProZ.com's Professional Guidelines. My experience in education gives me the necessary insight to work on assignments relating to education, pedagogy, schools, and universities. 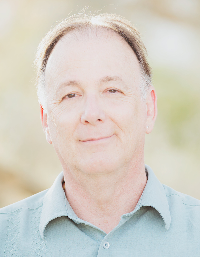 My Reading Specialist credential and undergraduate studies in literature give me the necessary background to work with children's literature and instructional reading materials. My work as a genealogist over the years has exposed me to different types of genealogical documents, handwritten and in print, domestic and foreign, from birth certificates to land deeds. My family originates from Macotera, Salamanca, Spain. I've spoken Spanish since I was a child, majored in Spanish literature in university, and lived in Spain as an adult. I've also studied French language and literature as an undergraduate while attending McGill University in Montréal, Canada. My personal commitment, attention to detail, and passion for translation is what I offer each of my clients with every assignment that I accept. The result of this effort produces work that I anticipate will satisfy the highest of expectations.